Hi everyone! 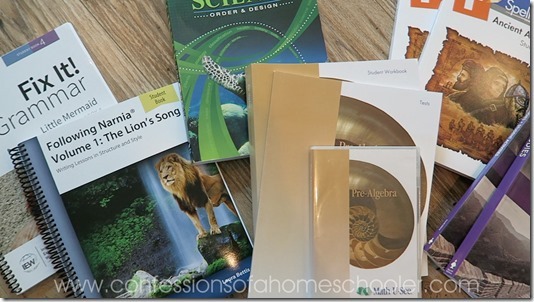 Today I’m sharing my 7th grade homeschool curriculum picks with you! This year my 7th grader will be doing a few online classes, as well as a few that I’ll be teaching. 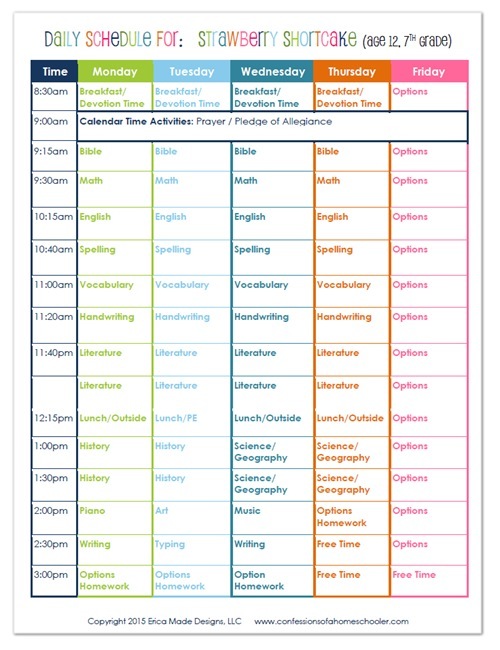 I like to mix it up like that to give her a bit more independence and free up some of my time to spend with my youngest since she’ll be needing a lot of my time this year. 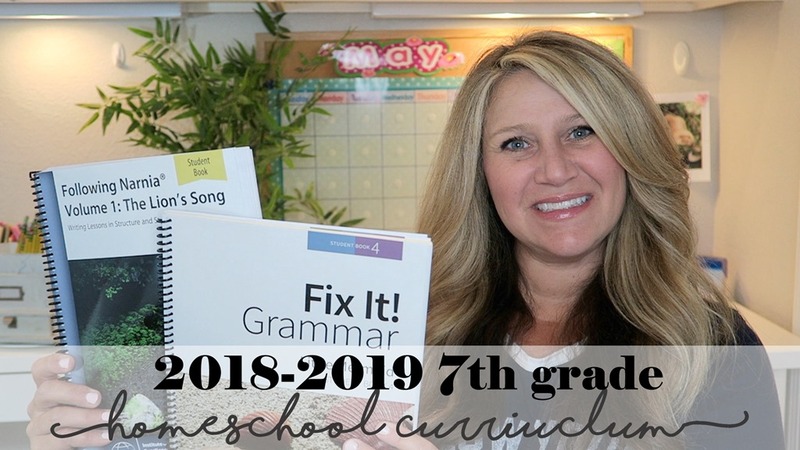 Watch my 2018-2019 7th Grade Homeschool Curriculum video here! 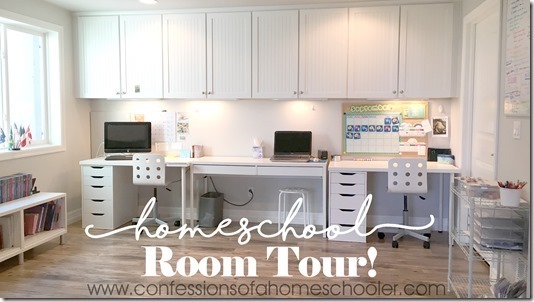 Check out our Homeschool Room Tour here! Check out my new HOW TO HOMESCHOOL eCourse! 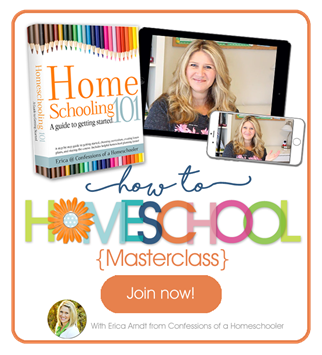 In this course you will learn everything you need to know to be able to homeschool your children and have your BEST HOMESCHOOLING year yet! Great article!! thanks for such an informative blog. It will help me in making the curriculum for my son who is studying in 7th Grade. Great information. I’m trying to plan for my upcoming 7th grader, but I was wondering why you chose BJU history over Abeka’s history? I just tend to like BJU products, and I like that the videos are showing the teacher talking directly to my student. The Abeka videos show the teacher talking to a class and your student is watching it. But honestly it is more pricey so we might try Abeka next year who knows 🙂 They’re both fairly similar. With the IEW, I was on their website and it made it sound like the teacher needed to take their writing classes before they used any of the subject based writing lessons. Did you do that or did you just jump in? It depends on what product you use from IEW. If you’re using or have used a writing intensive course from them, you may feel confident enough to teach it without the teacher training. Otherwise, if you’re using one of the theme based books with no training and no idea how it works, I’d be surprised if you’re able to get much out of it.